Before the Seaport District and Fort Point Channel become happening spots in South Boston, there was the original Southie. Divided by East and West with its main road, Broadway, acting as a barrier, Southie was once home to Boston’s Irish settlers. Traditionally a working class neighborhood, the improvements to Boston’s Harbor has allowed property values to skyrocket, and brought with it an influx of new residents of the “yuppie” variety. Southie retains its Irish charm and is the place to be in Boston for celebrating St. Patrick’s Day. Best explored when the weather is warm, Southie's seaside location is a true city neighborhood, complete with paved paths for recreation, restaurants lining the main and side streets, and special spots to simply enjoy being in Southie. 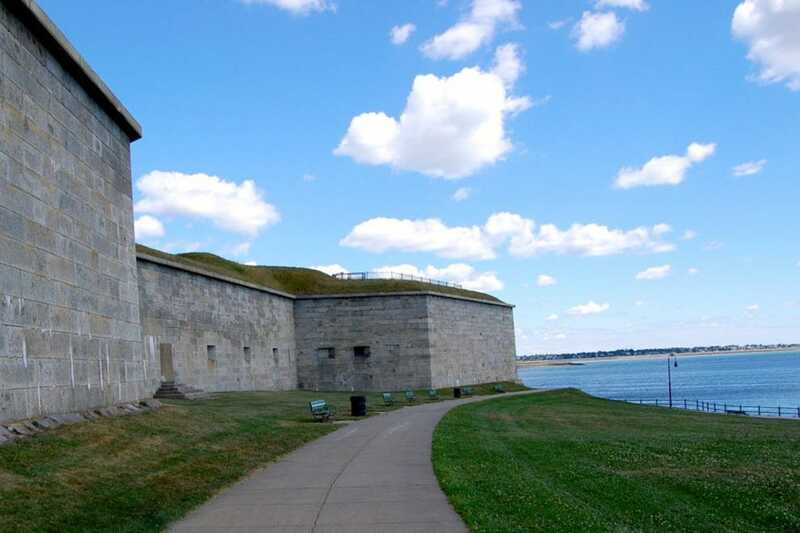 A year-round wonder, South Boston's Castle Island is one amazing waterfront park. Paved paths for walking, running biking, or blading loop along the water's edge. Take a break to watch the planes arrive and depart from Logan's runways which seem to be mere "steps" across the bay. Large lots allow people to park and enjoy the view from the comfort of their cars (perfect when the temperatures reach winter lows). Summer at this Southie park, invites swimmers to dip into the water at one of the beaches that line South Boston. The M Street Beach has gained notoriety as of late due to an influx of singles frolicking on the shore. When all that wondering has left you a little pooped, plop yourself on a bench outside of Sullivan's (Sully's to the locals) for a snack. Dive into a big plate of diner classics at Mul's. This West Broadway eatery serves some sensational (simple) breakfast food. Surly waitstaff and classic dishes combine to make this a memorable meal where you are sure to get a sampling of the real Southie. Clientele consists largely of regulars from cops and firefighters to families, and twenty-somethings looking to cure last night's hangover. For a classic Southie experience try the Quencher Tavern. Located on I Street, the Quencher is all that is great about Southie. Filled with locals this is about as Southie as it gets (without entering a bar you may be tossed from for not being Irish and from Southie). Complete with a jukebox, keno, shots galore, and of course perfectly poured pints, make this a dive bar well worth a trip. Don't walk in clad in designer duds, or dressed to the nines because the clientele don't look kindly on the yuppified. Boston's Seaport Hotel sits in the newly developed Seaport District, technically still a part of Southie. Minutes form the airport, downtown and South Boston's older, more charming side, it is the perfect place to stay for those on the go. Restaurants, and shops line the waterfront all around this hotel, but for something a little more authentic, make your way to Broadway. Although many exquisite boutiques and specialty stores have popped up on Southie's main drag, Broadway, in the past decade, nothing bits a classic shopping experience. Calnan's Hallmark and Jeweler's is a true Southie treasure. Family owned and operated, service here is nothing short of spectacular. A classic gift shop, Calnan's is packed with treasures, and fine jewelry. But the best part of Calnan's is its stock of all things Irish (clothes, Claddagh's, and gifts) this is the place to find that Irish knit you've been longing for.